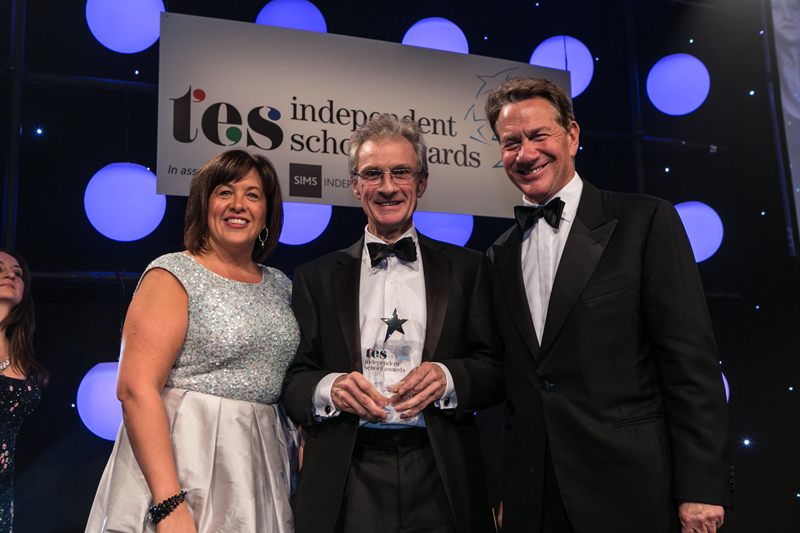 King Edward’s School has won the ‘Best Independent-Maintained School Collaboration’ at the 2015 TES Independent School Awards, making it the third award the school has won since September. The TES award was presented to King Edward’s School in London on Friday, 27 November in recognition of its extensive outreach programme, which engages with over 11,000 primary school children and 450 teachers from 190 schools within the local community each year. The outreach programme runs activities for primary school children designed to extend learning and raise aspirations, including Living History workshops, city-wide maths competitions and sports coaching. Primary teachers also have the opportunity to develop their own teaching through professional development events either run or hosted by King Edward’s School. The two awards the school had previously received to make the ‘hat-trick’ are ‘The Sunday Times International Baccalaureate School of the Year’, which it received last week for its outstanding performance in the IB Diploma this year, and the Chief Master, John Claughton, was named ‘Best Head of Public School’ by Tatler magazine in September. John Claughton, Chief Master, said: “It is a proud moment for the school that we should win three national awards in the same term. The TES award is due reward for the most extensive Outreach programme run by any independent school in this country. That programme is fundamental to the purpose of the school to be visible and open to all bright boys, whatever their background. These awards top off what has been an outstanding year for the school. In the summer, boys produced record-breaking IB Diploma results andoutstanding GCSE results. The school is also closing in on its £10m fundraising target for its Assisted Places scheme, having raised over £9m so far with the target due to be reached before John Claughton retires next summer.